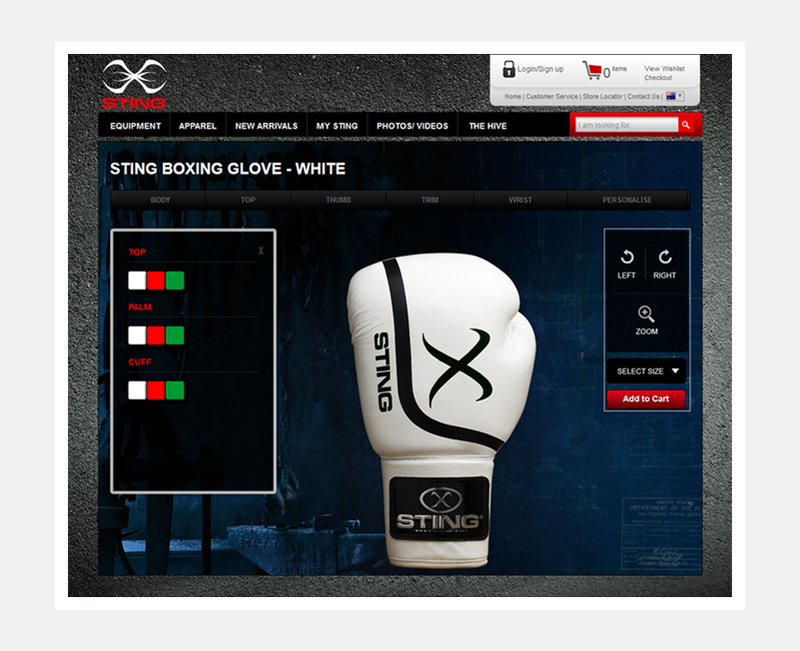 Created a new custom e-commerce store for a renowned brand Sting Sports, Australia. 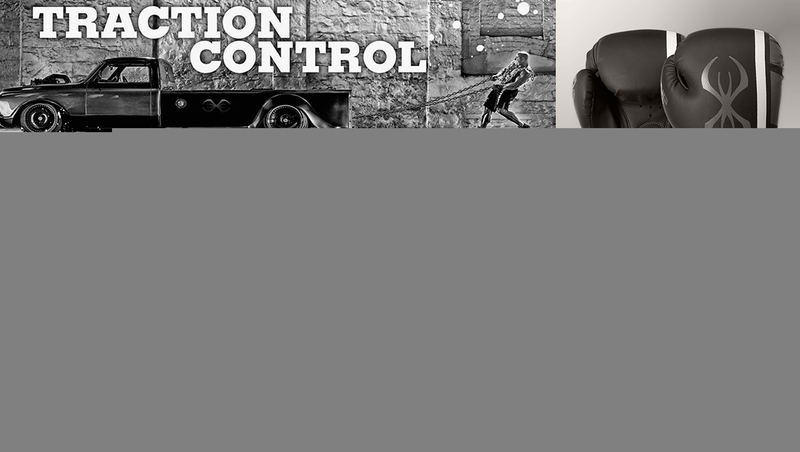 The company produces fitness acessories, apparels and premium range of sports equipments. In association with Zeidan, Baltech designed and developed an e-commerce store in .NET frame work. 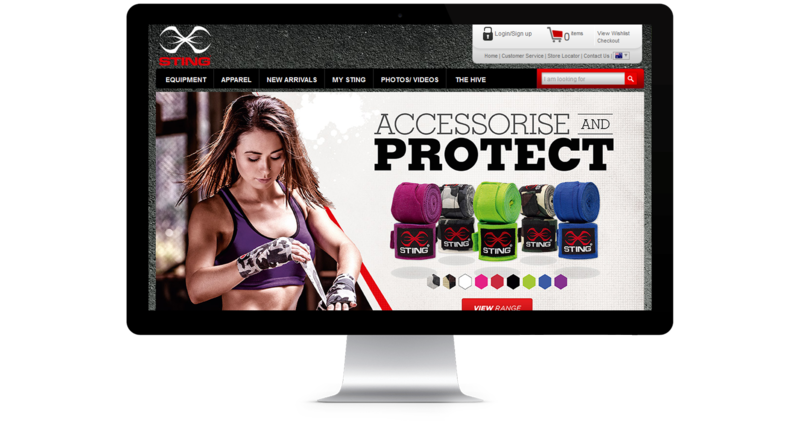 Our challenge was to create a user experience that is simple and intuitve yet the website design should reflect the brand's superior style and unrivalled quality. The shopping cart and checkout process was made very simple helping the customers to complete their purchase withouy any confusion. 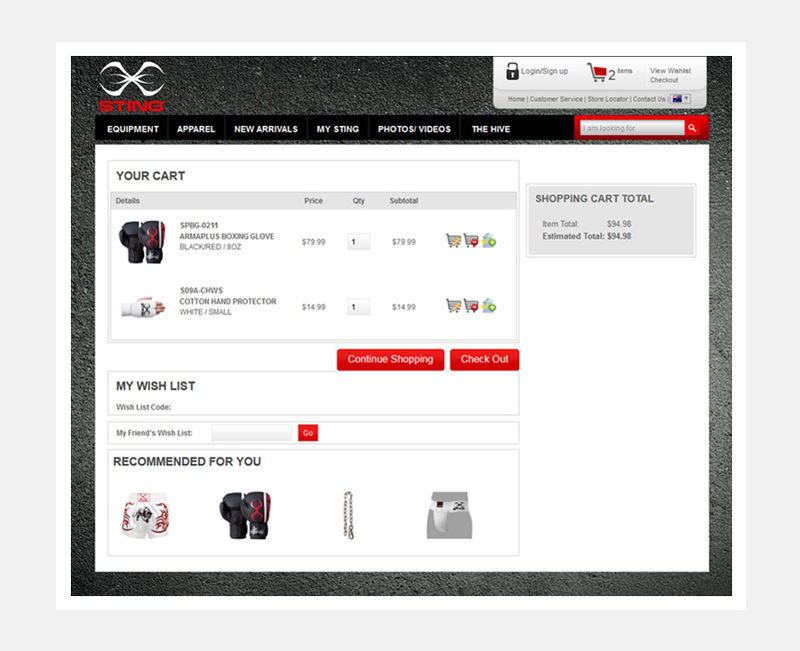 Users could also save their products in a wish list and retrieve them later when needed. 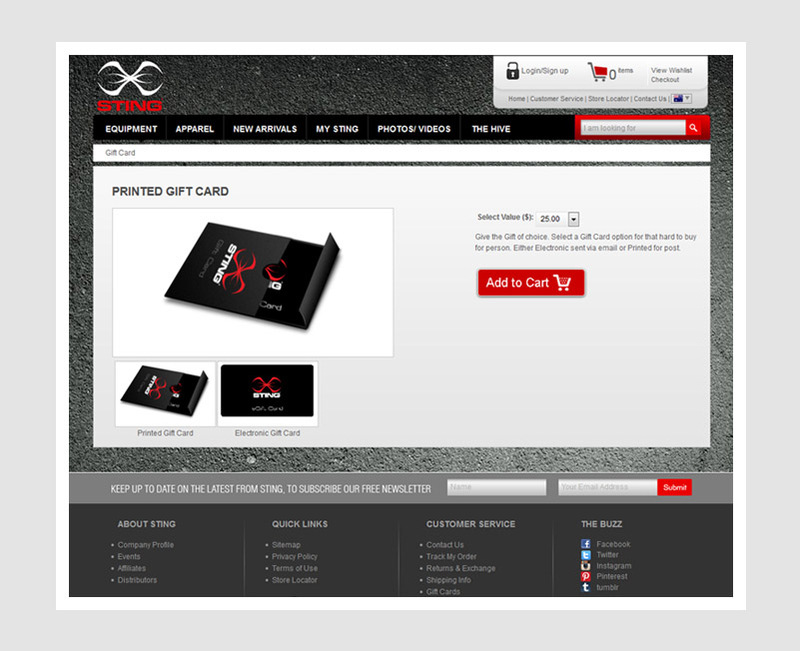 Printed and Electronic gift cards could also be purchased through the website. 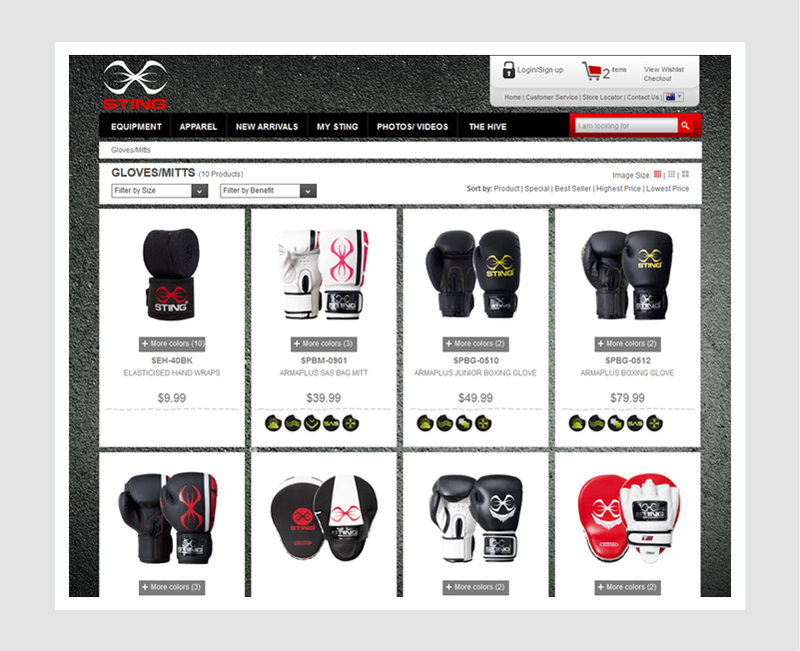 The most interesting part of the project is product customization which allows users to customize their chosen boxing glove with their choice of color and text to be engraved on the glove. 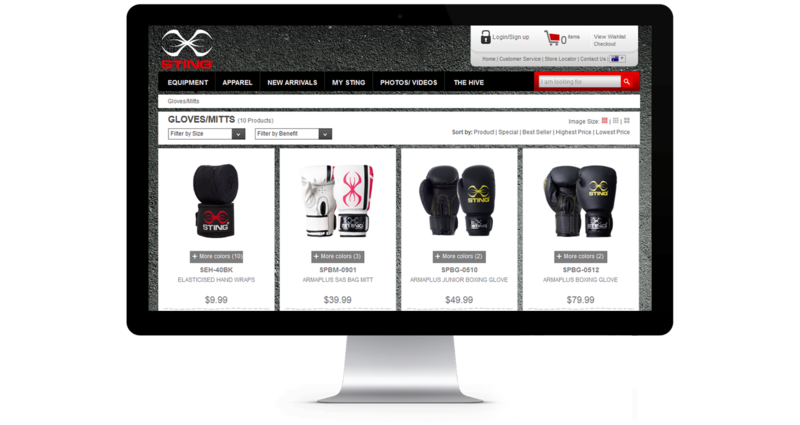 360 degrees view of the products gives user an option to view the products from all angles. I have been dealing with Baltech for 5 years. They have always been great in many ways. Firstly the quality of work. They always provide quality work. They stand behind their work and if there is any bug don’t you worry the Baltech team will research it analyse it and make sure they fix it no matter how many times they have to do this they never give up until the bug is 100% ironed out. 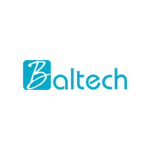 The Baltech team is very professional, they are polite, they discuss things, ask questions, not afraid to say please explain again and this is something that cannot be easily found. What I mean many say yes I get what you want but they have no idea, the Baltech team make sure they understand what you want before they do the work and if they misunderstood they have no problem whatsoever in fixing it.